Junk Jack Forum • View topic - Can not host a server or connect to a IP address. Can not host a server or connect to a IP address. 1. I host a server by "direct" option. 2. My friend inputs the IP but after 3 seconds stuck, nothing happened. The same issue happened when my friend host a server and I try to join in. The only way we can play together is Game Center. Last edited by mastery51 on Sun Dec 17, 2017 12:16 am, edited 1 time in total. Re: Can not host a server or connect to a IP address. Not sure if you want to put your games direct ip on here. Don't want you to get unwanted guest poping up on your multiplayer game. Are you both playing on the same Internet or separate? 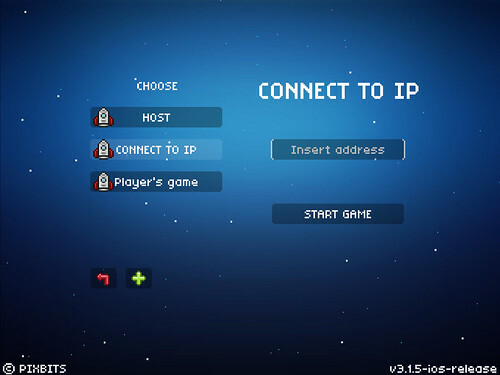 Direct multiplayer with the same Internet, the player's server will just show up as one of the connect options. If not you have to use the ip option. Are You both using iOS device or mixed, steam? How long is the host side running before the other connects? I notice the host should run for a few seconds before the other connects with the ip. Check to see if your Multiplayer restrictions is not on in the ios setting? Another culprit could be Slow Internet connectivity. Is both of your internets pretty good speed? Here is a guide for steam/ios connectivity. Also make sure if you're not on the same internet, to use your external IP and not your internal (A quick google searching of "what is my IP" will give you that information). Both of us use ios devices, and separate network (actually two countries). I just checked my IP address on google, it's totally different from the IP which the "direct-host" interface shown. I realized the IP I used before is internal IP. But still doesn't work after I host the server, my friend connected to the IP which googles found. Yeah, any IP that starts with 192.168.x.x is an internal IP that gets assigned within your network, you can also sometimes receive weird ones like 10.0.x.x, it really just depends on your router. As for still being unable to connect, the only thing I can think of would be the fact that you need to port forward? I doubt it's that but it's worth a try. Can I use my mobile data to host a server? Is it possible to host a server without WLAN connect in this case? I'm unsure, I've never tried it but I'd assume it would be possible.